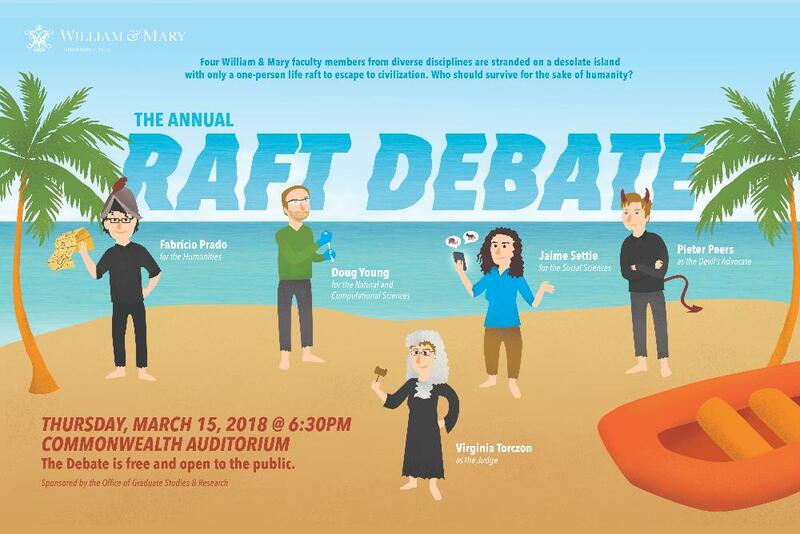 The 2018 Raft Debate will be held on Thursday, March 15, at 6:30 p.m. in Commonwealth Auditorium. The event is free and open to the public. Seating is limited to 425. First come, first serve. Not able to attend in person? Watch the 2018 Raft Debate livestream. Natural and Computational Sciences: Associate Professor Doug Young [Chemistry]. Professor Young is a bioorganic chemist that focuses on developing new chemical tools toward the diagnosis and treatment of diseases. Specifically, he and his students synthesize new amino acids and use biological systems to genetically incorporate them into proteins. This gives the proteins novel functions that are not normally present in biological systems, and ultimately affords the preparation of new cancer therapeutics. Young not only teaches General Chemistry and Biochemistry but is also a Body Pump instructor for Campus Recreation. He has received the Alumni Fellowship Award, as well as a Camille and Henry Dreyfus Teacher-Scholar Award. Social Sciences: Assistant Professor Jaime Settle [Government]. Professor Settle is a specialist in American political behavior, interested in understanding the way that the American public experiences politics on a day-to-day basis. She and her students have uncovered evidence about how political interactions?in both face-to-face and online contexts?affect the way individuals perceive conflict in their environment, evaluate other people, and engage within the political system. She is frequently called upon for lectures and seminars?on campus, around the country, and internationally?because of her expertise in the area of social media and political polarization. Settle is the co-director of the Social Science Research Methods Center, serves as a Reveley Interdisciplinary Fellow, and is an associate editor at the Journal of Experimental Political Science. Humanities: Associate Professor Fabricio Prado [History]. Professor Prado specializes in Colonial Latin America and the History of the Atlantic World. His research interests focus on cross-border dynamics, trans-national commerce, smuggling, corruption, and the interconnected histories of Rio de la Plata (Argentina, Paraguay, Uruguay), Brazil and the Atlantic World in the Age of Atlantic Revolutions (c1760-1830s). Prado has conducted research in archives in Argentina, Brazil, Portugal, Scotland, Spain, U.S., and Uruguay and has published books and articles in the U.S., Brazil, Argentina, and Mexico. His first monograph in the English language was published in 2015, Edge of Empire: Atlantic Networks in Revolution in Bourbon Rio de la Plata. Fabr?cio has been a research fellow at he University of Buenos Aires, a member of the class of 2008 of the International Seminar for the History of the Atlantic World at Harvard University, and an exchange faculty fellow at the School of History at the University of Saint Andrews, Scotland. Prado is an enthusiast of music and enjoys making sounds with analog synthesizers. The Devil's Advocate will be played by Associate Professor Pieter Peers [Computer Science]. Professor Peers specializes in computer graphics, and his research aims to digitize the appearance of the world around us, so that it can be revisualized on any computer from any virtual viewpoint and under any lighting condition. Peers has been the recipient of the Google Faculty Research Award, the Alumni Fellowship Award, and the Plumeri Award for Faculty Excellence. The Judge will be played by Virginia Torczon, Dean of Graduate Studies and Research, Arts & Sciences. Which faculty member should survive for the sake of humanity? Based on the volume of applause, the audience chooses the sole survivor as the professors cajole, plead, pontificate and resort shamelessly to props and costumes. 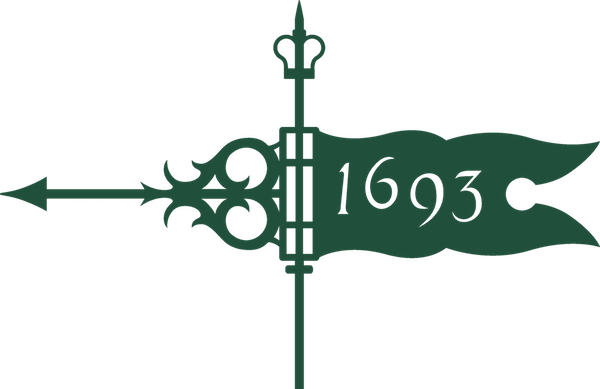 The quirky event originated in the mid-1900s and was revived during the 2000s by the Graduate Center, the A&S Office of Graduate Studies and Research, and the A&S Graduate Student Association.